Lite late lunch included (after workshop)! What would happen if you had no fear? 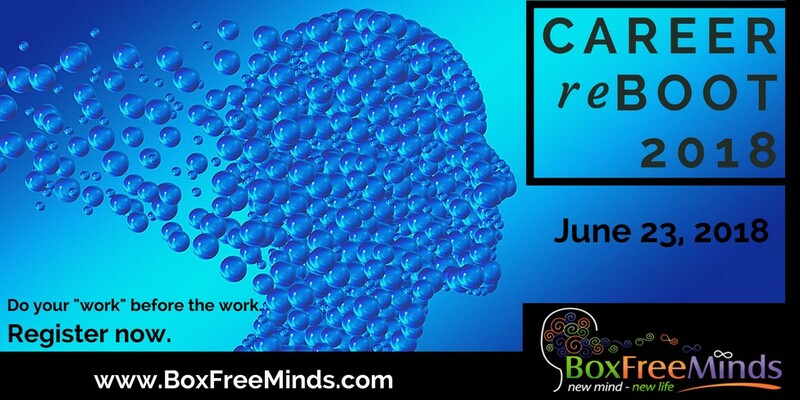 Box Free Minds is about releasing fear, assumptions and blocks so that your thoughts can become Box Free! Pamela Heward, Founder and Certified Career Transition Coach, employs learning strategies, techniques, technical basics, insights and much more to help you do the “work before the work” – you will gain a higher level of confidence in who you are, identify where your passions lie, and present yourself to employers with clarity and strength. Before your resume, before your job search and before you go on a single interview – THIS is your critical “work before the work”! As a Certified Transition Coach, Pam has helped over 2,500 clients find their passion and take their career and lives to the next level. Please join Pam for this interactive workshop that will challenge your thinking and help you reconnect with the infinite possibilities within you! You will learn the 8 Mind Shifts for Box Free Thinking and how to create a new path and a new career based on what you truly want – and what it takes to achieve it. Show you how taking the time to shift your approach to your career will clarify your job search journey and get you the career and life you love! The strategies used are the culmination of years of experience helping others to achieve lasting fulfillment. Don’t waste another moment living someone else’s idea of a “successful” life. Learn how to make profound changes in your life AND receive a FREE 30 minute personal coaching session with Pam valued at $75.00. Plan to share, brainstorm, and uncover what is possible when you chip away at what blocks you from having a career and life you love. Just enter number of tickets below and “add to cart”! As a Career Transition Coach, I encounter the myths about obstacles in employment on a regular basis. Many of my younger clients (in their 20’s) believe that no one will hire them because they don’t have the experience and knowledge of a more seasoned candidate. 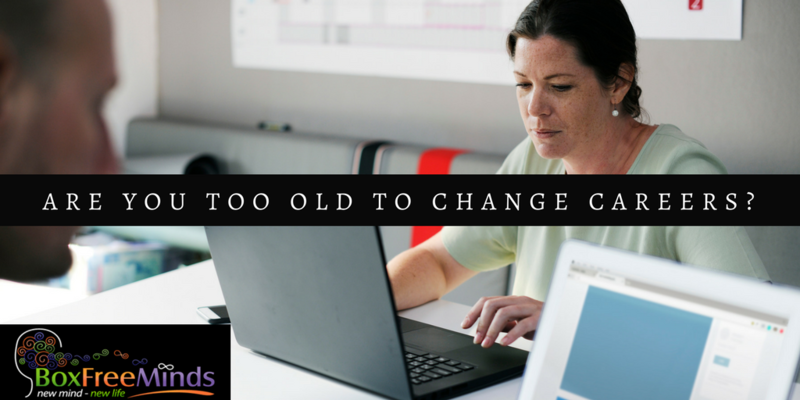 Many of my clients 50 and over believe that companies are only hiring candidates in their 30’s and younger because they can get away with paying them less. What I have found is companies are hiring all age groups and all levels of experience. Many of the hiring managers I talk to are embracing the idea that EQ (emotional intelligence) and finding a good cultural fit are just as important as a professional or technical skill. Bottom line – there is opportunity for us all in all age groups and stages of professional experience. My advice to career transitioners and job seekers is to begin with letting go of the assumptions in your mind and focus on what is possible. In any new endeavor there is challenge and opportunity. Remember, successful people ask for help, they know where their strengths lie and when to ask for help. Don’t forget to check out our workshops! The most important work you can do is the “Work Before The Work” – before you write your resume or set up interviews. You can kick start your new mind and reinvigorate yourself to be truly ready to do the work to discover your passion and begin a new chapter in your personal and professional life. This is why I built my workshop – Box Free Breakthroughs for a New Life and Mind. It’s time to reboot!! Have you considered Personal Coaching? I offer individual and group coaching sessions and my clients experience remarkable results. Find out more, get signed up and begin creating your best career and life. Are you feeling full of hope? Full of fear or uncertainty? Do you want this year to be the year you accomplish new and great things in your life and Career? Wherever you are in your thought process, start by taking a look at YOU and the dialogue going on in your head. Does your mind need a reboot? If you are ready for your life to be different this year, then you must think differently. Below is an excerpt from a great little book I read years ago, Please read it and decide what lessons you are willing to learn to grow and change the way you think about what has and will happen in your life. Rule One – You will receive a body. Whether you love it or hate it, it’s yours for life, so accept it. What counts is what’s inside. Rule Two – You will be presented with lessons. Life is a constant learning experience, which every day provides opportunities for you to learn more. These lessons are specific to you, and learning them ‘is the key to discovering and fulfilling the meaning and relevance of your own life’. Rule Three – There are no mistakes, only lessons. Your development towards wisdom is a process of experimentation, trial and error, so it’s inevitable things will not always go to plan or turn out how you’d want. Compassion is the remedy for harsh judgement – of ourselves and others. Forgiveness is not only divine – it’s also ‘the act of erasing an emotional debt’. Behaving ethically, with integrity, and with humor – especially the ability to laugh at yourself and your own mishaps – are central to the perspective that ‘mistakes’ are simply lessons we must learn. Rule Four – The lesson is repeated until learned. Lessons repeat until learned. What manifest as problems and challenges, irritations and frustrations are more lessons – they will repeat until you see them as such and learn from them. Your own awareness and your ability to change are requisites of executing this rule. Also fundamental is the acceptance that you are not a victim of fate or circumstance – ‘causality’ must be acknowledged; that is to say: things happen to you because of how you are and what you do. To blame anyone or anything else for your misfortunes is an escape and a denial; you yourself are responsible for you, and what happens to you. Patience is required – change doesn’t happen overnight, so give change time to happen. 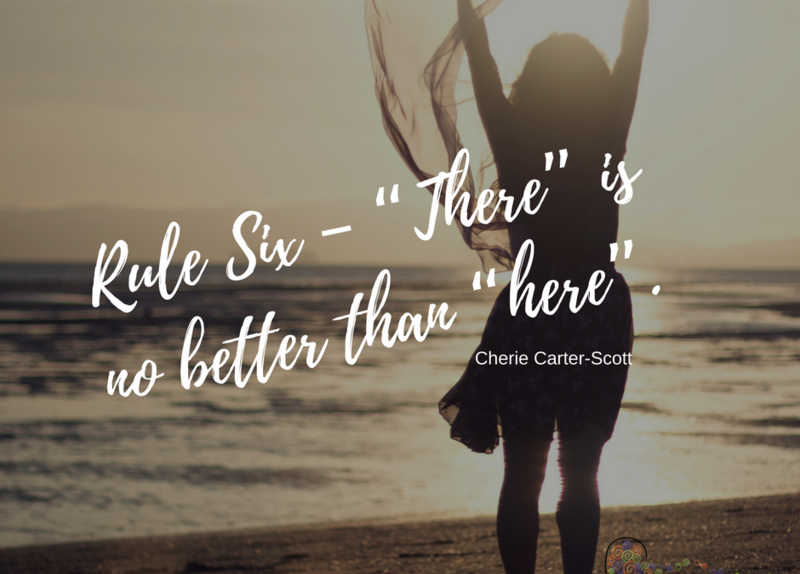 Rule Five – Learning does not end. While you are alive there are always lessons to be learned. Surrender to the ‘rhythm of life’, don’t struggle against it. Commit to the process of constant learning and change – be humble enough to always acknowledge your own weaknesses, and be flexible enough to adapt from what you may be accustomed to, because rigidity will deny you the freedom of new possibilities. 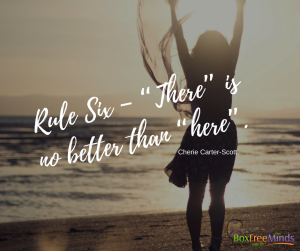 Rule Seven – Others are only mirrors of you. You love or hate something about another person according to what you love or hate about yourself. Be tolerant; accept others as they are, and strive for clarity of self-awareness; strive to truly understand and have an objective perception of your own self, your thoughts and feelings. Negative experiences are opportunities to heal the wounds that you carry. Support others, and by doing so you support yourself. Where you are unable to support others is a sign that you are not adequately attending to your own needs. 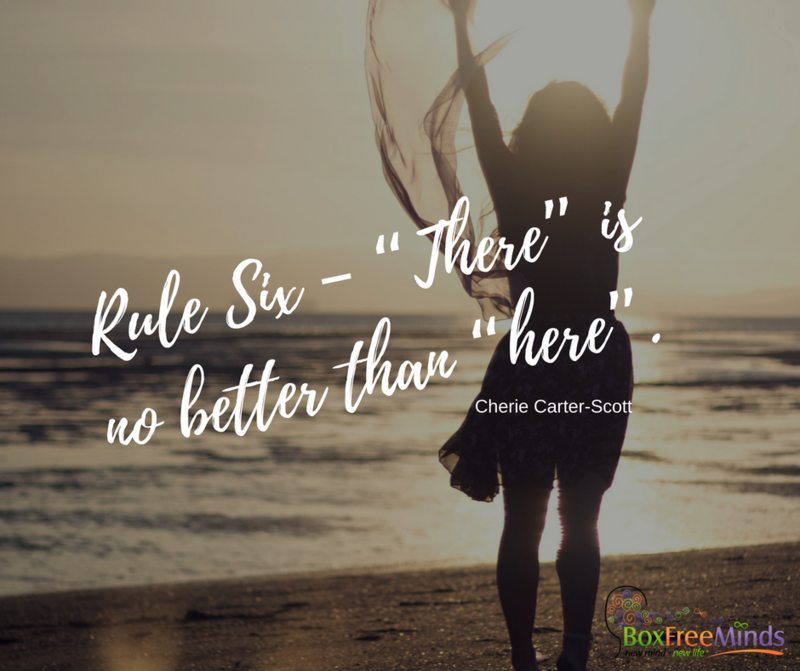 Rule Eight – What you make of your life is up to you. You have all the tools and resources you need. What you do with them is up to you. Take responsibility for yourself. Learn to let go when you cannot change things. Don’t get angry about things – bitter memories clutter your mind. Courage resides in all of us – use it when you need to do what’s right for you. We all possess a strong natural power and adventurous spirit, which you should draw on to embrace what lies ahead. Rule Nine – Your answers lie inside of you. Trust your instincts and your innermost feelings, whether you hear them as a little voice or a flash of inspiration. Listen to feelings as well as sounds. Look, listen, and trust. Draw on your natural inspiration. Rule Ten – You will forget all this at birth. 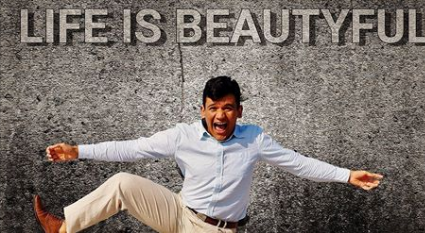 We are all born with all of these capabilities – our early experiences lead us into a physical world, away from our spiritual selves, so that we become doubtful, cynical and lacking belief and confidence. The ten Rules are not commandments, they are universal truths that apply to us all. When you lose your way, call upon them. Have faith in the strength of your spirit. Aspire to be wise – wisdom is the ultimate path of your life, and it knows no limits other than those you impose on yourself. I wish you lots of happiness and success in the pursuit of your goals and dreams! As a Career Transition Coach, I work with entrepreneurs and job seekers (employed and unemployed) who are looking for advice to land their perfect career or start their own business. Though my approach includes a personalized and focused plan for each client based on their individual goals and attributes, I also like to share good information with you, my readers, along with my personal commentary. Here is an article I found interesting and thought you might also! What do you think are the most important points? 1. If you are not sure what the next best thing to consider might be, ask yourself: “How do I like to spend my time when no one pays me?” It does not mean you have to do this as a career or job but it promotes new thought pathways. 2. When considering other options, consider creating your own business: explore entrepreneurship. There are many ways to earn a living and pursue what makes you happy. 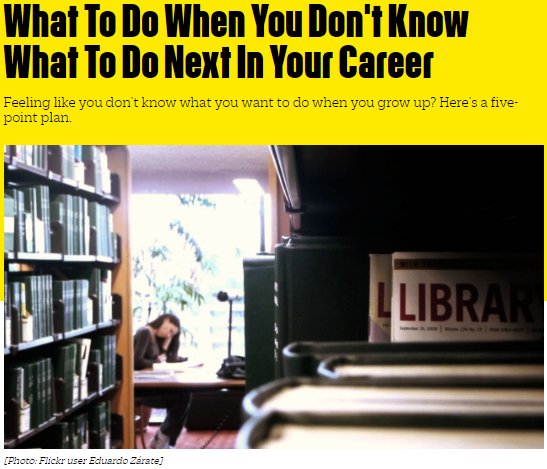 Are You an Entrepreneur or in Career Transition? Begin by doing your “Work Before The Work”!